Synthetic Lube EP is a fuel efficient, extreme pressure, multi-purpose synthetic gear lube formulated to provide improved fuel economy in heavy, mid and light duty automotive applications. 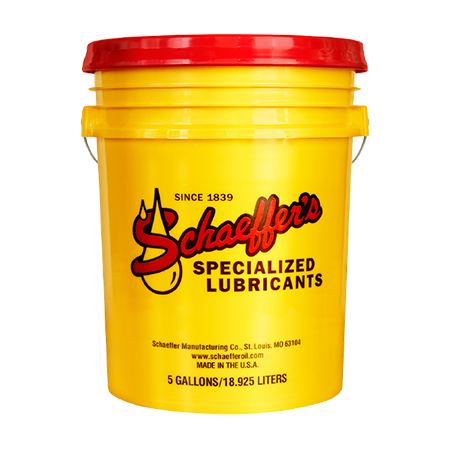 Synthetic Lube EP is blended from the finest quality synthetic base fluids, a high viscosity index and a multi-functional additive package. This unique blend provides optimized viscosity that allows for lower churning losses while still maintaining superior bearing and gear protection. Synthetic Lube EP is recommended for use in applications that require the use of an approved lubricant for Eaton®, Fuller Roadranger and Meritor (formally Rockwell International) extended warranties. Increased operating performance range with 1% fuel economy improvement. Longer axle component life with reduced gear wear for increased gear life. Improved protection in extreme operating conditions. Excellent high temperature thermal stability and durability. Extended drain capabilities and extended warranty protection. Reduced maintenance and downtime costs for increased vehicle uptime.